Art students – other art teachers – the curious – the retired – all enjoy the most intense immersion in art work they’ve ever experienced! The Bushwick Collective is less than 60 minutes from most points in Westchester. Tours booked through LMCCE, Scarsdale and Bronxville Adult Education Programs, and privately with me. Quick Reference Guide to major taggers, artists, painters and sculptors in roughly the order that the tour viewed them. Prominent names, for which I have been able to find resources, are linked to further information. “I really enjoyed yesterday’s tour – it was so informative, and the material that you provided both before and after really added to the enjoyment. The tour was also lots of fun; your sense of humor added to the experience. 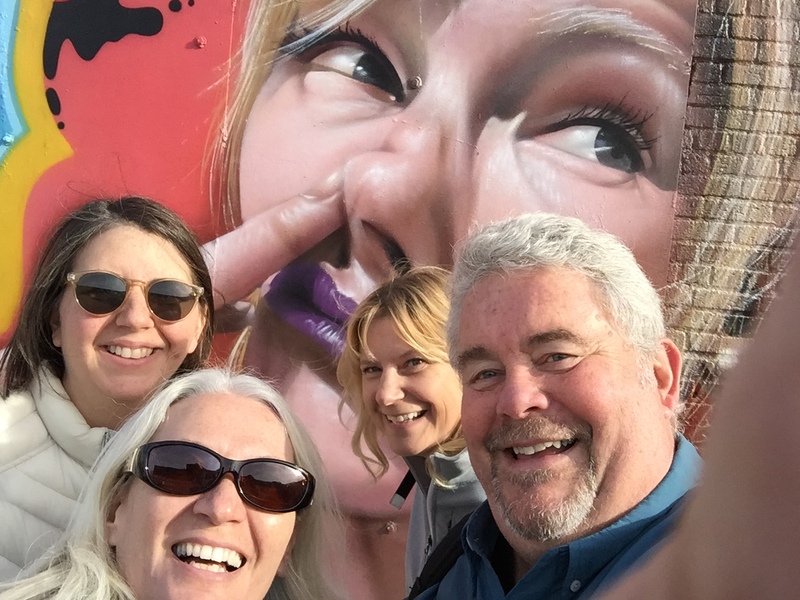 Although anyone can go and look at the street art, there is so much to see and discover that only an excellent tour guide like you can provide.” C.Z. “Marty, I thank you for such a memorable exploration of street art! 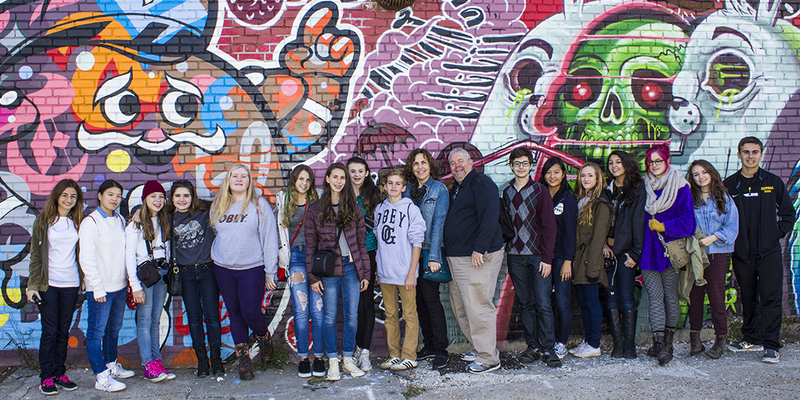 Your warm personality and deep knowledge of the Bushwick public art made for an exhilarating experience! 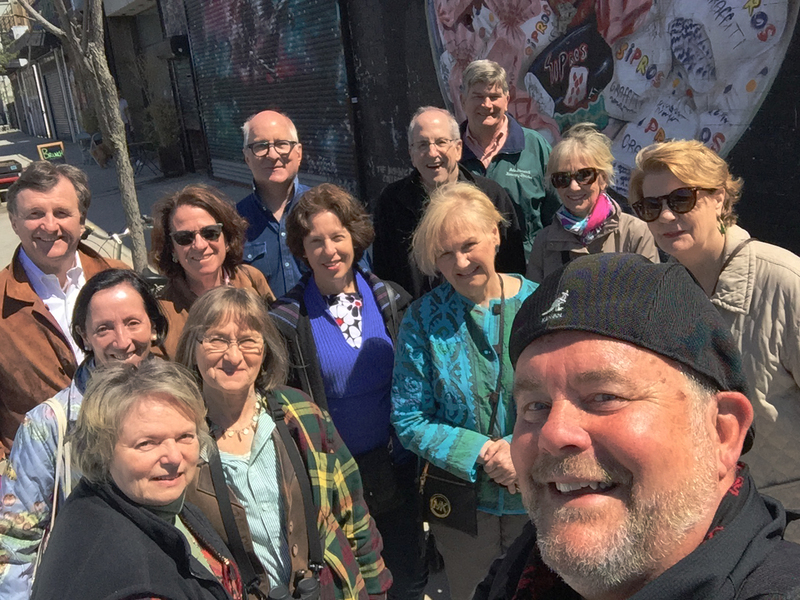 So anyone interested in artistic expression should treat themselves to a walk through Bushwick with you!” R. S.
“Thanks so much…for the tour and for all of the resources. You told the stories of those walls so well. Your interest and passion in this type of work and this neighborhood was evident in everything you said and did.” A.D.